Hearts secured their place in the quarter-finals of the Scottish Cup with a comfortable 4-0 victory over Auchinleck Talbot. 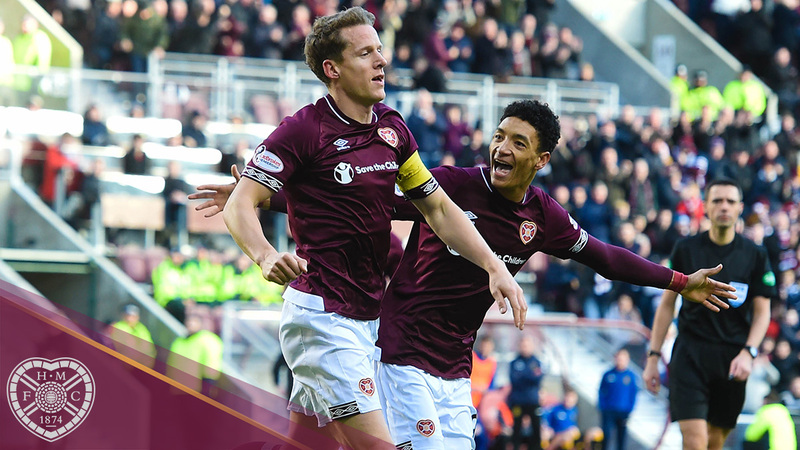 Three first-half goals had the game dead and buried before the break, with Christophe Berra, Demi Mitchell and Steven MacLean all getting on the scoresheet before Aidan Keena rounded things off four minutes before full time. Craig Levein made three changes from the side that drew midweek with Livingston. Uche Ikpeazu made his first start since October after spending four months out through injury, and partnered the retuning Steven MacLean up front. Demi Mitchell was also handed a place in the starting line up, with Conor Shaughnessy, Oliver Bozanic and Jake Mulraney dropping out. 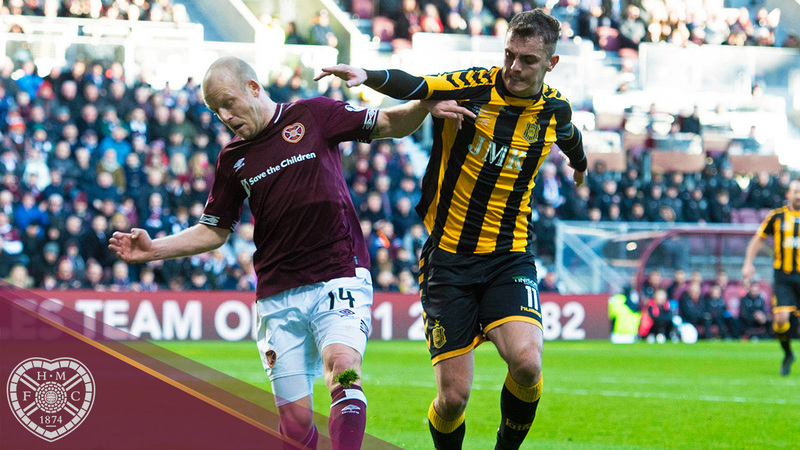 Hearts started the game in an attacking manner, with Steven Naismith blasting over from inside the box before Berra was penalised for climbing after heading from Olly Lee’s corner, so his rifled shot into the back of the net didn’t count. The deadlock was broken after ten minutes. Ikpeazu was upended after turning his man and Lee swung in a 25-yard set piece for Berra to leap like a salmon and bullet a header over Andrew Leishman and into the back of the net. The visitors had a half chance on 19 minutes when Graham Wilson sprung the offside trap to latch onto a long ball, but his attempted lob over Colin Doyle failed and the Irishman easily gathered. The Jambos went straight up the other end and nearly made it 2-0. Sean Clare’s hanging cross was nodded down by Lee and off an Auchinleck defender into the path of Ikpeazu but his turn and shot from close range flew straight into Leishman’s arms. Enjoying the lion’s share of possession, Hearts kept pushing forward. Arnaud Djoum advanced into the box in the 25th minute and cut back to Ikpeazu, but under pressure from a defender he slid in and could only knock the ball wide. That second goal arrived on the half hour mark. Playing across the Talbot box the ball eventually found Mitchell, who cut inside before drilling a right-foot shot that took a deflection off Neil McPherson and beyond Leishman, into the bottom corner. 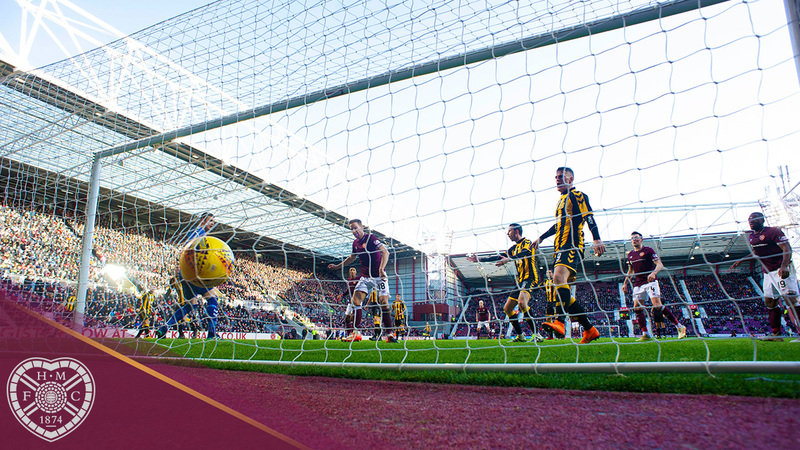 Hearts were denied a third minutes later by an outstanding Leishman save. John Souttar’s defence-splitting pass for MacLean inside the box and he took a touch before shooting, only for Leishman to spring to his right to palm the ball away. It was 3-0 on 38 minutes. Lee played a short corner from the right to Mitchell, who beat his man and sent a ball across the face of goal for the unmarked MacLean to tap home on the line. Auchinleck nearly pulled one back before the half was out. Another long ball forward found Glasgow at the edge of the box and he tried to scoop it over Doyle, but couldn’t find the target. 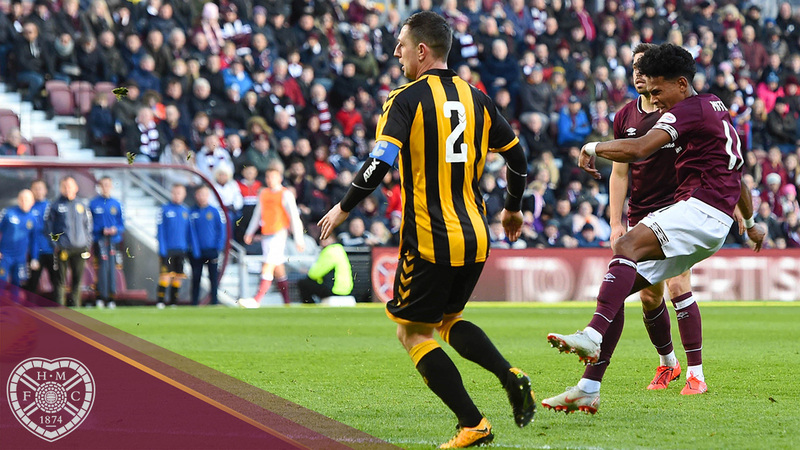 Hearts had the ball in the back of the net six minutes in the restart when Smith’s thunderbolt strike from Lee’s corner was diverted into the net by MacLean, but the forward was flagged for offside. Mitchell then got down the left to loop a cross to the back door for substitute Callumn Morrison to strike but he could only find the side netting. Chances were being teed up for the Jambos by this point, with Ikpeazu showing great strength to get into the box and float a ball over for MacLean, and his half-volley deflected into the path of Naismith, who tried to place an effort into the bottom corner but the ball flew wide of the target. 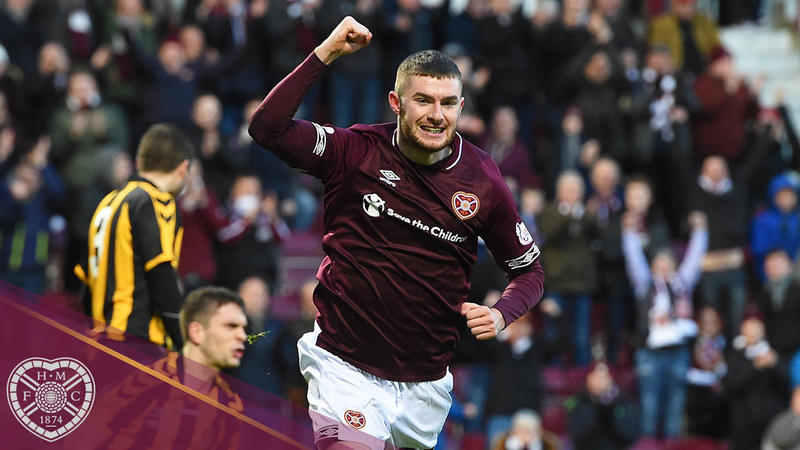 Hearts went close again just after the hour mark when Mitchell weaved his way through the defence before being crudely hacked down from behind, and Lee stepped up to curl a set piece around the wall only for Leishman to pounce to his left and beat the ball away. A quick Auchinleck break on 67 minutes saw them create a decent opportunity, with Glasgow bounding towards the box before pulling the trigger but he dragged his shot wide. A pinpoint through ball from Naismith saw Ikpeazu get into the box and twist his way past two Auchinleck defenders before curling an effort on target, but a black and yellow short was able to steer the ball wide. Talbot kept searching for a goal and went close on 75 minutes when a corner was headed back across the face of goal and substitute Keir Samson popped up but could only head wide from close range. The men in maroon had to play the final ten minutes with only ten men after Michael Smith went off with a leg injury after all three subs had been made. There was time for one more goal before time was up, with substitute Keena showing good feet inside the box to keep the ball under control before lashing home from eight-yards. A professional performance from the Jam Tarts who make the quarter-finals for the second year in a row, and will find out their opponents when the draw is made on Monday night. Hearts: Doyle, Smith, Souttar, Berra, Lee, Clare (Morrison, 46'), Djoum, Mitchell, Naismith (Keena, 75'), MacLean, Ikpeazu (Vanecek, 72'). Subs: Zlamal, Shaughnessy, Bozanic, Mulraney. Auchinleck Talbot: Leishman, Lyle, Pope, McPherson, McCracken, White (Samson, 73'), Armstrong, Hyslop, G. Wilson (McIlroy, 81'), Glasgow (Shankland, 81'), S. Wilson. Subs: Hewitt, Kemp, Waite, Harvey.